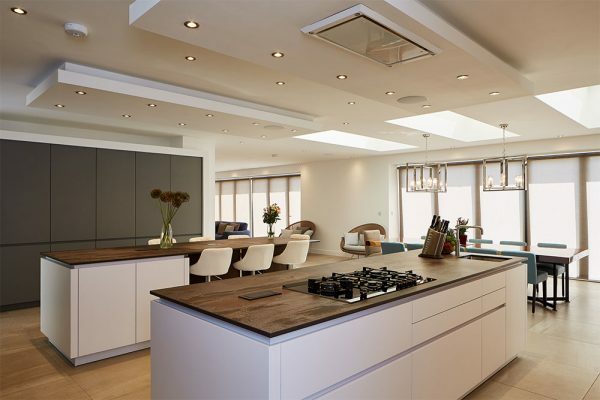 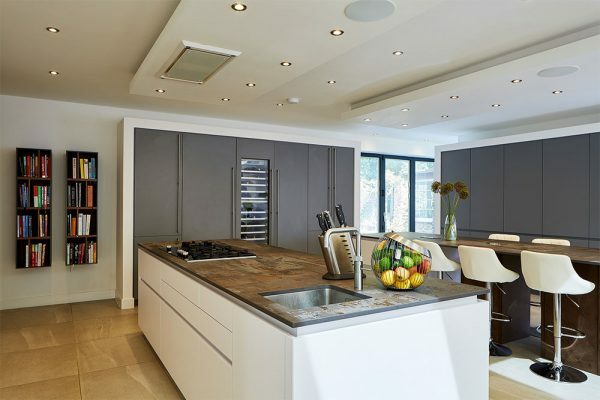 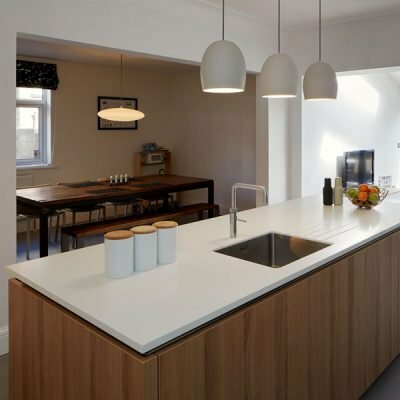 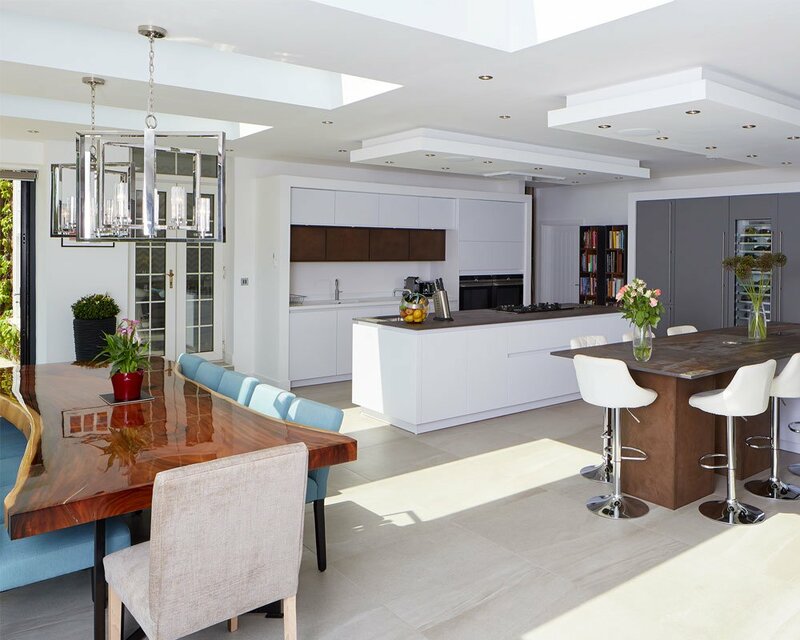 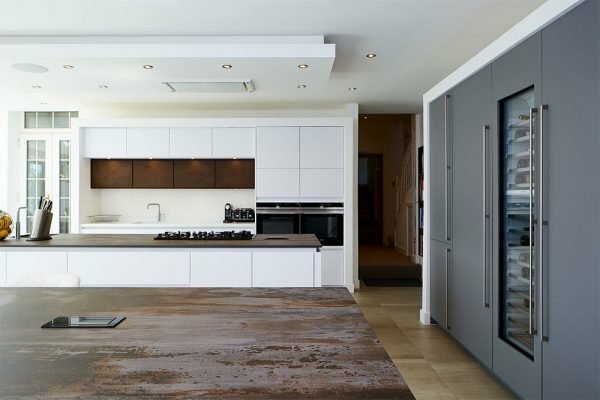 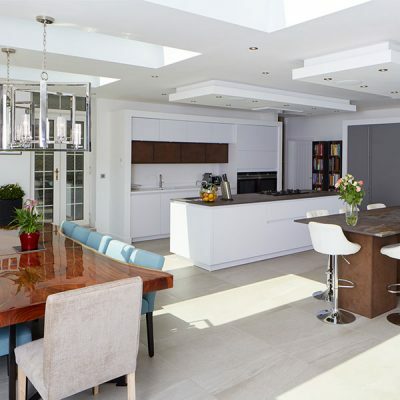 In this project our client was creating a large multifunctional space that would incorporate a kitchen with casual seating, a formal dining area and a lounge for all the family. 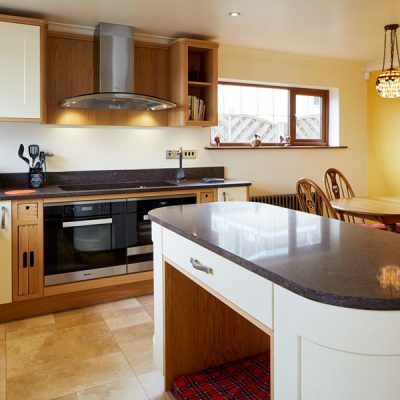 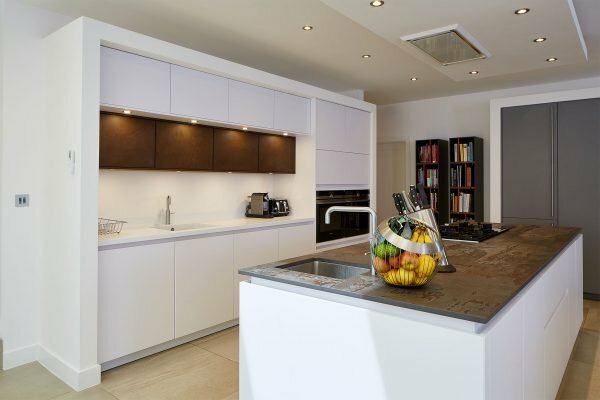 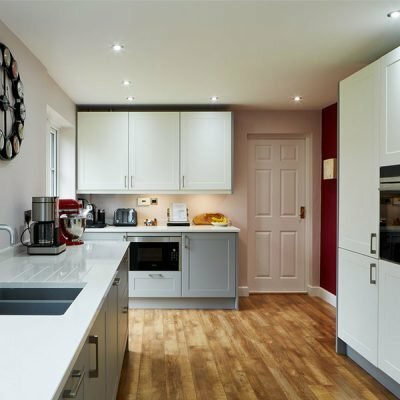 With such a large space to work with we were able to design a modular kitchen with distinct preparation and cooking zones which offered great practical use, as well as an informal breakfast bar with integrated bottle chiller and hidden drinks area for entertaining. 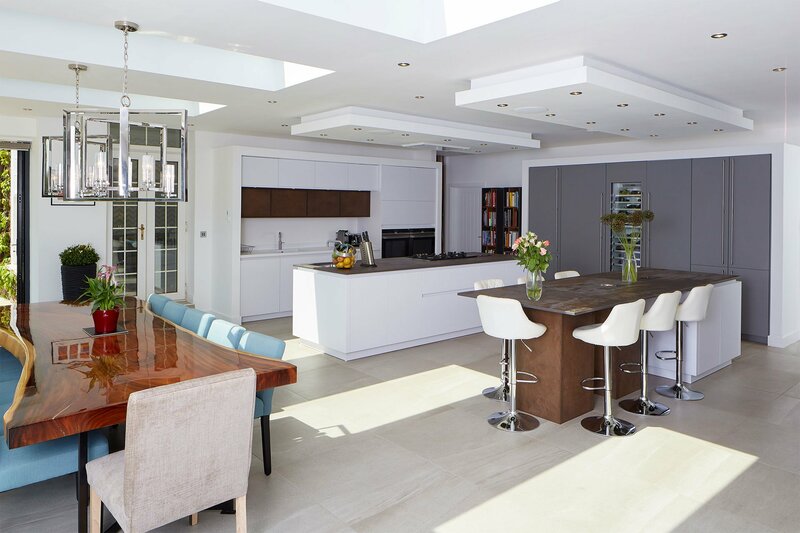 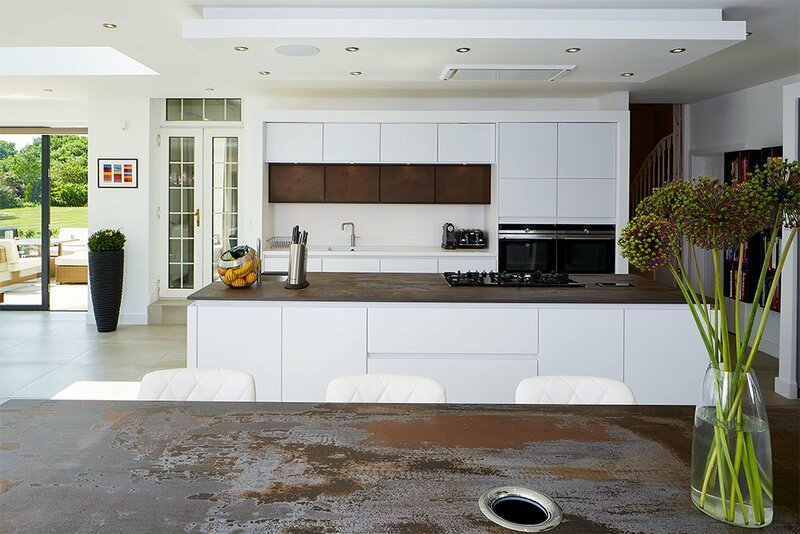 We used a combination of neutral, light tones in contrast with heavy textures to form a striking yet simple aesthetic which comes to life with the natural light from the large exterior doors and roof lights. 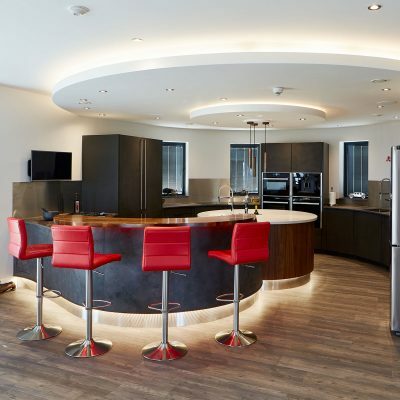 High end appliances from Siemens, Quooker and Kaelo were the icing on top of a wonderfully modern cake and helped combine both the practical and the aesthetic elements of the kitchen together to finish off a truly grand room.